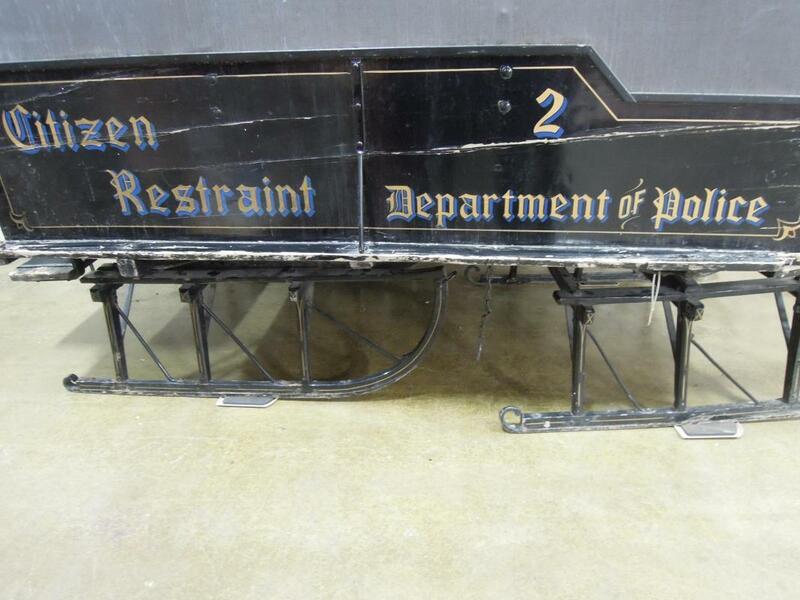 This is a VERY OLD and rare “One of a Kind” Antique Paddy Wagon well-constructed made of wood and painted black. 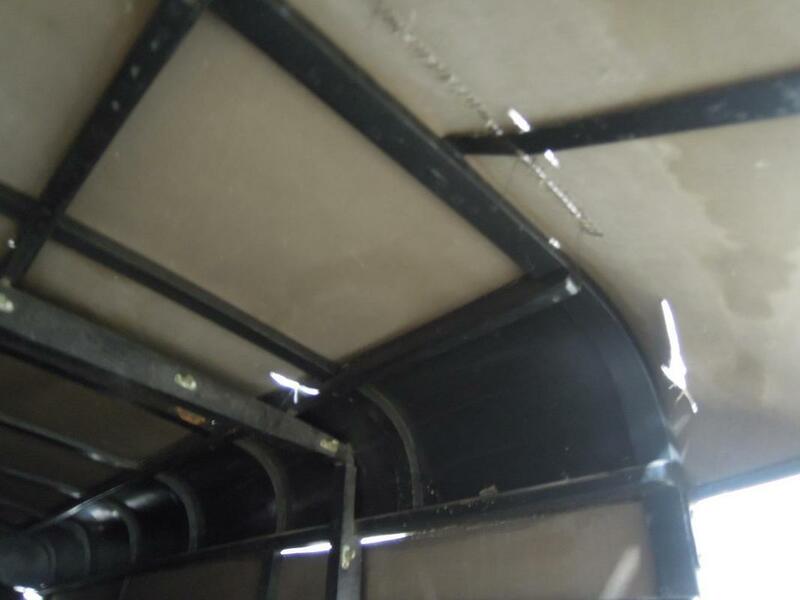 It has a tall canvas top, and sits on a metal sleigh. 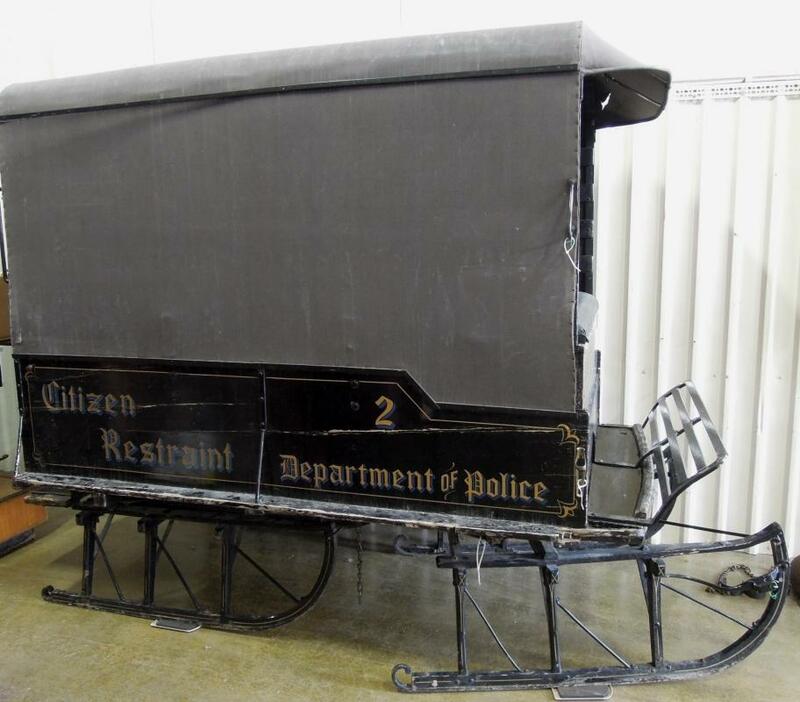 It has hand- painted lettering on the side with Citizen Restraint 2 Department Of Police. 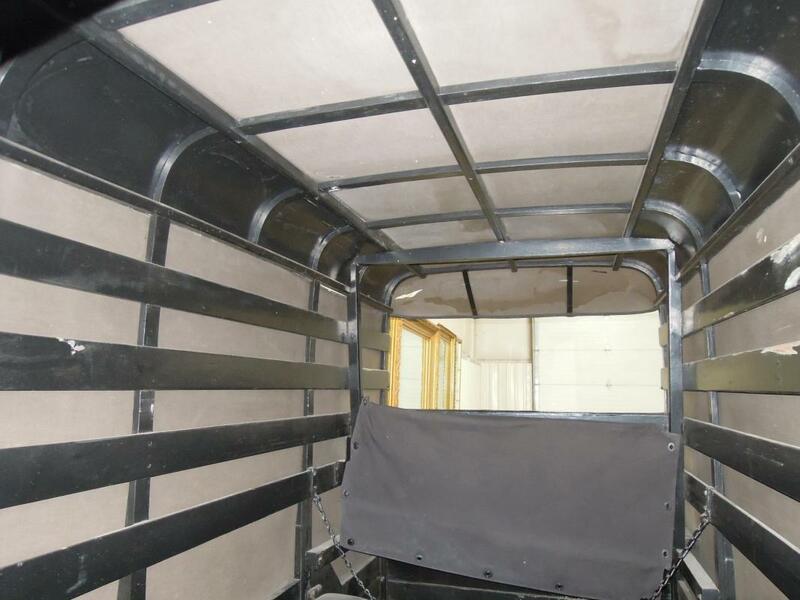 The front has a bench style seat and step for driver the interior has a metal frame that holds the canvas and seats with chains. . This piece is so unique due to the fact it has the sleigh base as opposed to the typical wheel base that are so common. 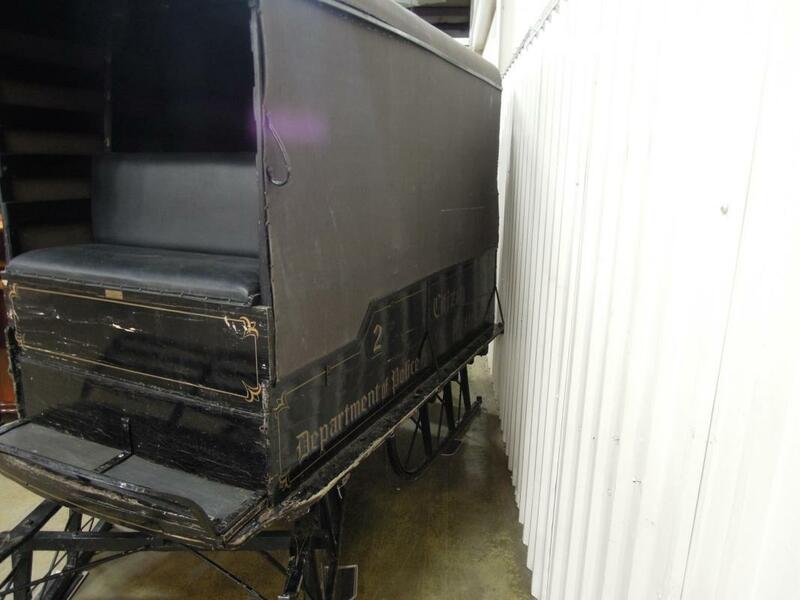 The paddy wagon sits on a long sleigh that is painted black. 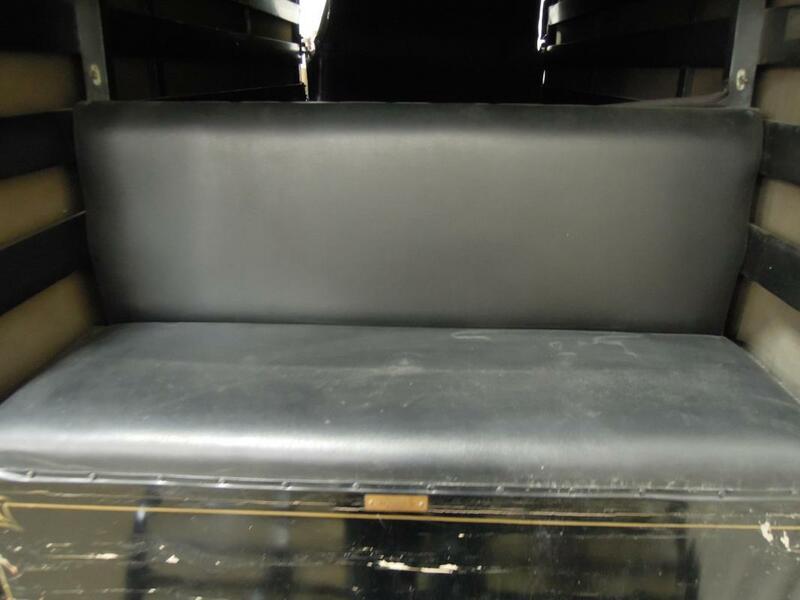 This piece had some professionally restoration done in the early 1990’s the seats were re-covered and they added the hand-painted letters as well.. This piece was restored just prior to putting it on display at the FOP convention in Pittsburg Pennsylvania that President George Bush Senior attended in 1991. They were planning to put this piece in the local museum but for some reason that did not happen. We have not touched this piece at this point and have kept in the original condition we purchased it in; and have decided to sell it; This should really be on display a one of a kind piece in in a museum. This piece will be sold without the horses that would normally pull it. . 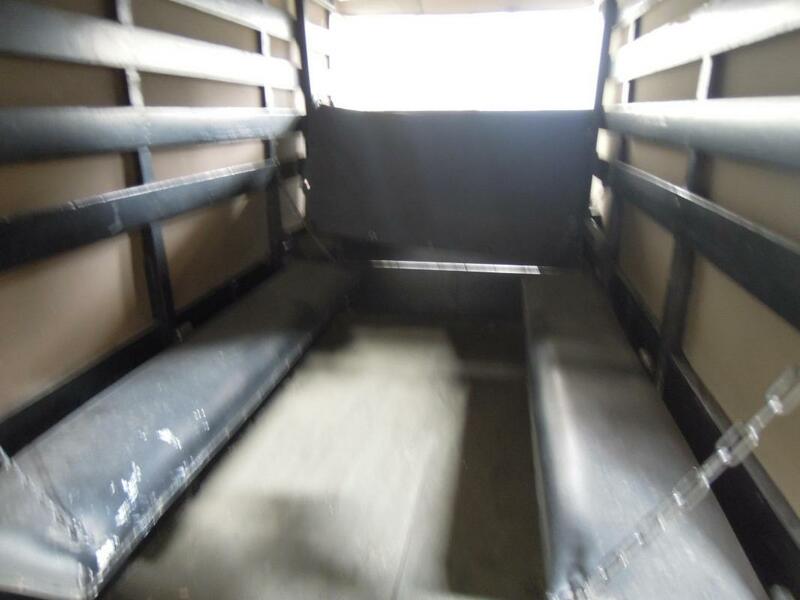 This is for Local Pick Up Only if you don’t have a preferred shipper see our shipping page for more options. 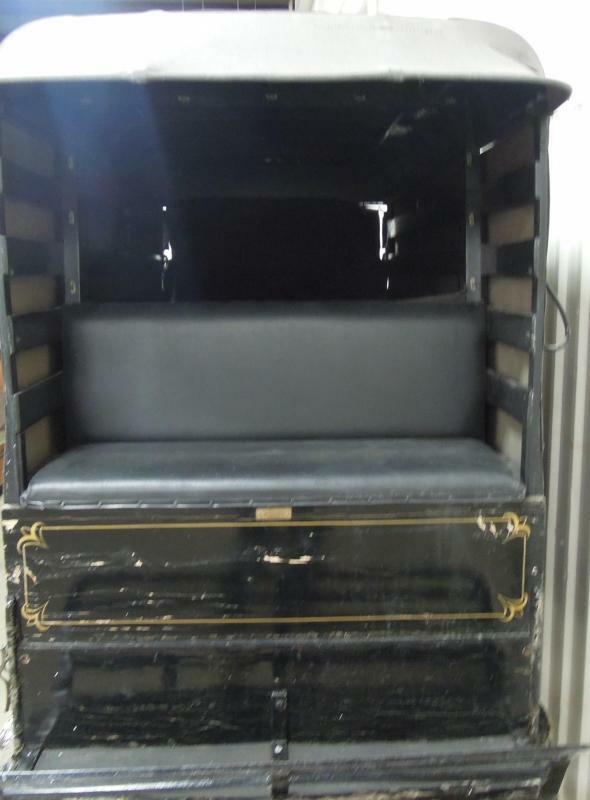 Items Similar To "Antique Paddy Wagon Sleigh Canvas Top One of A Kind Piece"